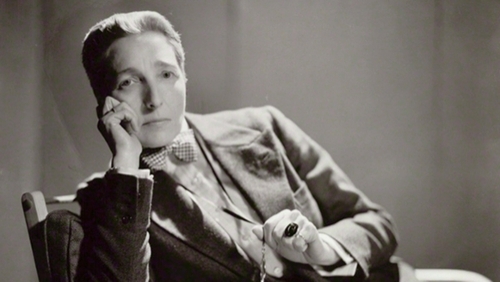 The Well of Loneliness by Radclyffe Hall was the target of a highly publicized obscenity trial, which led to the book being banned in Britain in 1928. The publicity surrounding the novel made its strikingly stylish author a lesbian icon. This talk addresses the legacy of The Well in mainstream and LGBTQ visions of gender and sexuality and uses materials from the Neil Richards Collection of Sexual and Gender Diversity to showcase multiple editions and cover images of Radclyffe’s Hall’s most famous novel—and its subsequent influence on the lesbian pulp fiction of the 1950s and 1960s. The role of Hall and The Well of Loneliness in marketing pre-Stonewall lesbian pulp fiction, and especially the complex relationship between “serious” literary fiction and mass-market paperbacks, will be explored through this interdisciplinary and transhistorical consideration of how the archives can be queered through lived experience. A special display of various editions of The Well of Loneliness will be up in the University Archives and Special Collections reading room throughout the month of September. If you would like to know more about Radclyffe Hall, check it out!